I can’t decide if the circles under her eyes were badly photoshopped out or if she did a crappy job of concealing her concealer. I liked the last picture better… this one is icky. I don’t know, I kinda like her green eyes. 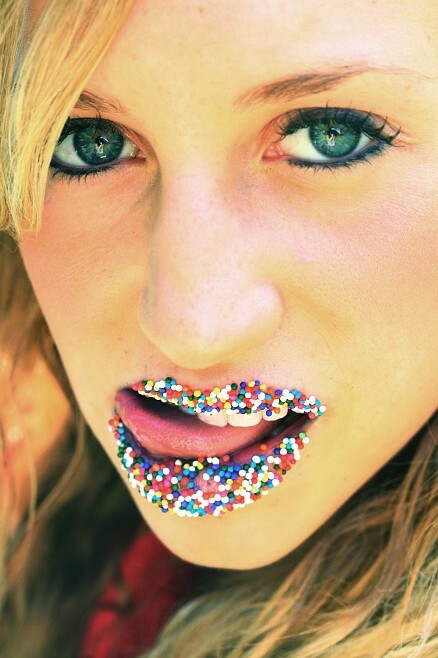 I could nom nom, sprinkles and all, for a while on that. It looks like she just blew a clown. but who is this clown fellatioer?